All the electronic, electronics parts of a computer are connectivity called Hardware. The examples of Hardware are- Monitor, Mother Board, RAM, Key Board, Mouse, SMPS etc. 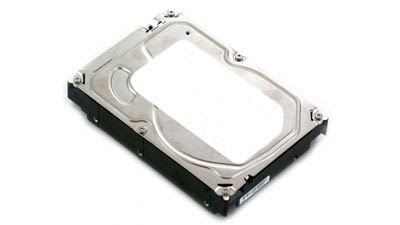 These types of Hardware are inside the CPU cabinet. It is not seen the outside. These types of Hardware are outside the CPU cabinet. It is display and touchable outside. The software is a set of program to do a job using the Hardware. A program is a set of commands and command is set of instruction. The examples of Software are- MS-DOS, MS Word, Tally, Windows XP, Corel Draw, Notepad etc. This is a set of program that controls the operation of a computer system. These programs do not solve any problem. It also runs our computer system. Example: - MS-DOS, Windows 95, Windows 98, Windows 2000, Windows XP, Windows Vista, Windows 7, LINUX, UNIX etc. 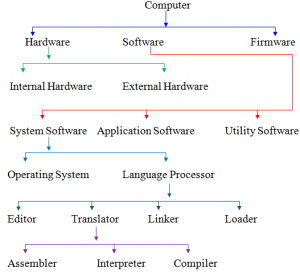 This type of System Software operates all the electronic parts of a computer and controls all activities that the user solves through through Application Software. Communication between computer machine and users. Controls the Input and Output device. The computer can’t understand high-level language. It understands low-level language like as- 0 &1 (Binary Number). So we have used some Software, it converts the high-level language to machine language. This type of Software we have known as Language Processor. This is a set of a program designed to carry out operation for a specific application. This type of program solves any specific problem. Application Software is often called package. Accounting package Software – Tally, Fact. 3-D animation Software – 3-D Studio Mixing. A utility is a type of Software that performs a specific application, usually related to managing a computer and its programs. It is also called a Utility. It is a virus guided program. Example: - McAfee, Avast, Norton etc.